“All human beings have three lives: public, private, and secret.” Gabriel Garcia Marquez believed that we create who we are by what we share. For example, the public life is that which any ordinary person can see of you; the private life is that open only to close friends, loved ones and family, or to someone who is willing to investigate and discover it; and the secret life is that that which is kept only to oneself (and sometimes even from oneself!). Our personality is formed according to the experiences we have, the relationships we create, and the things we share with others. Perhaps in this digital age, it becomes harder to have a private or secret life, but we all have things we only disclose to those closest to ones, and thoughts that we only keep to ourselves. The things we let out are what makes us who we are. But it is also those things we don’t say, that influence who we become. It takes strength and courage to let people into your life, let alone your mind and heart. And it is only with time that you manage to discern who those truly worth it really are. What we need to remember though, is that in the end, we only have one life to live. So let’s make the most of it. The first one that ever came into his possession was a tall black suede one. It looked so elegant and it made him feel so sleek and classy, like a real gentleman. The next one, he found in a vintage store. It was a dark green beret, like the ones marines wear, and with it, he felt athletic, strong and robust. After that, it became an obsession for him. And it seemed that with every new hat he acquired, he was granted the key to emphasizing an aspect of his character, sometimes even one he was unaware of. Jonah would wake up every day and decide on the hat that he would wear, before choosing the clothes he would match it with. It all depended on his mood that day, and mainly on what he wanted to feel. So if he wanted to feel sporty and pass by almost unnoticed, he would wear his favorite baseball cap. If on the other hand he wanted to cause gazes to turn his way, he had the brown plaited deerstalker hat á la Sherlock Holmes. On the days he wanted to seem adventurous and exotic, he had the black cowboy hat with its silver band glistening in the sunlight. Jonah was generally a very hat person. But that was not always a good thing. Because one time he actually misplaced his hat and could not decide what type of personality he was until he eventually found it again. He relied too much on some material good to dictate who he was to the extent that he forgot what type of person he truly strived to be. It was wonderful that he could be all those different persons with a simply change of a hat, but what about when he was without one? He no longer new who he was, and that was a quest he was reluctant to take on. That is the danger of getting too used to something – you fear too much of letting it go. When it was just a young calf, the little elephant was adopted by a rich high-class, very well-off family for no other reason because they could do so, and because their toddler son had become fascinated by the picture of the animal in a book he had, that he simply had to have one for his own. Most of the first few weeks were spent with the toddler running after the little elephant, tugging at its trunk and rejoicing whenever it squirt water back at it in an unsuccessful attempt to get the kid to stop. As time passed by, the toddler grew older and found other interests. The elephant wasn’t the biggest fascination of his life anymore, but he did often still play with him. One rainy day, he had the idea of playing hide and seek. With the elephant. The elephant was to go hide. The boy counted to 100, got distracted at 49, wondered off for half an hour, returned to count from one again and, well, two hours later he went to seek the elephant. By now, the elephant was almost full-grown. 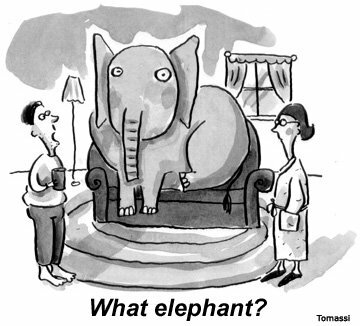 So, really, where could an elephant hide? Mind you, the boy lived in a mansion, so it was quite easy to get lost in there. Or, in the boy’s case, get tired. After around half an hour of searching, the boy gave up and was then called for dinner. His mind drifted to other things and he soon went to bed. The elephant had hidden in the basement closet. They say elephants never forget. But people do. The boy forgot about the elephant and it was literally months before he remembered that he once had such a “pet”. But he never reached the closet. Because of laziness, of over-privilege, of low-concentration capacity? There were many reasons. Reasons that the elephant could not understand. For in its miserable, unnatural life, it was locked up, voluntarily at first and forcefully later as the closet door could not open from the inside. The elephant perished in the closet of one of the most lavish houses people could ever build. But he became witness to the truth that appearances are deceitful. Because no matter the grandness of the house, the hearts of the people who occupied it were nonexistent. Elephants never forget. But some people don’t even remember. 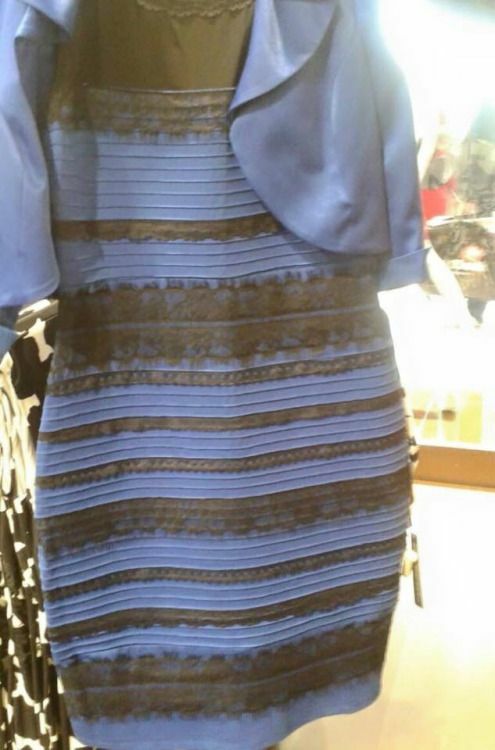 In the last week, we have been arguing over the colour of a dress (blue/black or white/gold? ), have witnessed llamas run loose in Arizona, and have been baffled over a Senator’s questioning of the effects of climate change by tossing a snow ball as evidence. All the while, it has been revealed that the masked Islamic State (ISIS) militant known as “Jihadi John”, seen in the videos beheading Western hostages, is a Kuwaiti-born British man from West London, while ISIS militants ransacked Mosul’s central museum destroying thousand-year old priceless artefacts. Meanwhile, Eurozone countries continue to bewilder each other on account of their increasing economic problems, leading to internal strife, while the fighting in Eastern Ukraine is ongoing and getting worse. It is interesting to how we chose to see as news what is more enticing and entertaining to us. The fact that conflict is rampant across the world no longer surprises or even affects us (unless we are in those impacted areas). Nor are we touched by the world’s financial problems, even though these affect our own economic state and employment status. These are things we seek to get away from when surfing the web. Instead, we’ll click to watch Madonna fall at her Brit Awards performance, we’ll enter the worldwide viral debate on the color of that dress, and we will laugh at the videos of animals doing the weirdest yet cutest of things imaginable. When we enter the world wide web, we seek to be informed, but at the same time entertained. Our attention span diminishes rapidly when we begin to read a long political analysis on the state of affairs – simply put, this is boring. We want something that draws our attention, that is quick and easy to read, and that is entertaining enough but enlightening at the same time. We like to engage into quizzes on what your choice of wine says about you, for example, read the daily horoscope and cartoon strips, and be inspired by a quote someone famous said long ago. What we don’t like, is to be reminded that nothing seemingly works as it should pretty much anywhere; that those who were elected to represent us are sometimes just as corrupt as the people they criticize and place behind bars, and that corruption and clientilism are two trends that may possibly never be transcended. So we turn to entertainment. To momentarily forget the harsh reality and drift into a realm where all there exists are celebrities falling from grace, animals proving they’re smarter than us, and meaningless chatter on trivial issues. We all need to get away for a while, and if this is the way to achieve some serenity of mind, then so be it. Just remember, The Dress is the colour you see, and all that says about you, is that you can at least see there is a dress.